No doubt deciding on a wedding reception location is one of (if not) the most important planning details for your wedding day. Whenever you visit potential wedding reception locations, come prepared with a list of questions to ask. Read on for a starter list of questions and some helpful advice for picking your wedding day location! 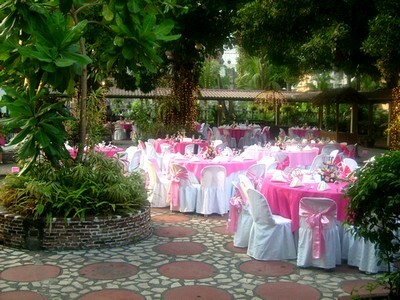 No doubt picking the wedding reception location is one of (if not) the most important planning details for your wedding. The venue you choose will potentially determine the date of the wedding, the food you serve, the style and feel of the event, and will be accountable for one of the largest chunks of your budget. Unfortunately this is one of the very first decisions you and your fiancé will have to make when wedding planning. It is necessary to book your wedding site early, especially because some sites will be booked up a year in advance. It is hard to begin planning specific details for your wedding before you book your venue. It is important to come prepared when scouting locations for your wedding. Come prepared knowing what your budget is and how much of it you have allocated for the reception site. Whenever you visit a potential venue, bring a list of questions to ask. Take notes and photos to help refresh your memory of each visit. Places will likely blur together! Read contracts thoroughly before signing them! Start out with these questions and add any other ones that are important to you and your fiancé. ï¿½ Will we be holding the ceremony and reception at the same location? ï¿½ How many guests will we have? ï¿½ What is the Maximum Capacity? Seated? Standing? ï¿½ Is my date available? Are there any other weddings that day? ï¿½ Is there a rental fee? What does it cover and for what period of time? What doesnï¿½t it cover? ï¿½ What type of deposit is required, when is the balance due, and what is the cancellation policy? ï¿½ Are there any restrictions on event times? Any restrictions on alcohol? Any other restrictions? ï¿½ Can I use any vendors I want? Do you have a list of approved vendors or is everything done in house? ï¿½ When do I get access to the site for the setup? Is there any extra fee for setting up the day before? ï¿½ Are there any restrictions on photography or videography? ï¿½ Can I see the plate, glassware, centerpiece options and linen selection? Is it included in the price? ï¿½ Is there sufficient parking for my guests? ï¿½ What are the meal choices, served or buffet? What is the price per plate? Can I bring in my own caterer? ï¿½ Can I bring in my own cake? Is there a cake cutting cost? ï¿½ Bar options, can I bring my own alcohol? Open bar or cash bar? How long will bar service be provided? ï¿½ What type of sound system and lighting do you have? Do you provide DJ services? ï¿½ Are there any restrictions on entertainment and/or decorations? When visiting potential wedding reception locations, try to picture your wedding day there. Take into account how friendly and accommodating the staff is at the venue. Will they be willing to work with you to make sure you get the wedding youï¿½ve always dreamed of? Start off with the above list of questions, once you have those answered and youï¿½ve taken a tour of the venue, you may have a better feel if the site is a good fit for you. Even if you love the first site you visit, check out a few other options just so you have something to compare your first venue to. This may cement your decision on your first choice or open up a whole new possibility. Try not to become overwhelmed with the task of selecting your wedding venue, this should be fun! It is a chance for you and your fiancé to really get excited about your upcoming wedding.